Identifying, defining and tracking key metrics is a necessary component of ensuring procurement productivity. The key performance indicators used by procurement to assess the value of supply chain processes play a critical role in the overall success of an organization, which is why ensuring quality ones are chosen is of utmost importance. "Innovation is the lever we immediately go to pull when procurement is asked to contribute to the top line," Procurious Founding Chairman Tania Seary recently explained in an interview. "And, of course, our close working relationships with our supply base should result in the best ideas for gaining a competitive advantage and be put forward to our company first." 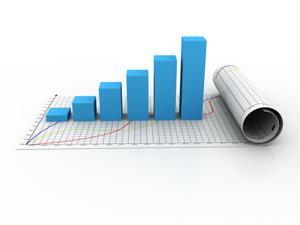 Procurement KPIs can translate to revenue growth for the company and be used to help fuel the objectives of business. How? "Procurement can contribute to the top line in so many more ways than we would traditionally consider," Seary said. "We need to keep pushing the envelope. By reducing the cost to produce a product or service, it becomes more affordable and therefore possible to increase market share with the end customer base. Procurement's productivity initiatives with the marketing team may mean more airtime or space for its advertising spend, which could result in more sales." All KPIs being measured must link back to corporate objectives. The KPIs you choose define your role in the business. KPIs that deliver profit (through cost-downs), free up cash, contribute to top-line growth through innovation and protect the corporate reputation will resonate with your senior leadership team. Although they don't necessary need to be directly tied to the company's ROI, they should definitely be associated with shareholder return. Procurement must be able to continually communicate and reinforce how the KPI is relevant and helping the business move toward where it wants to be. A sure sign that a KPI is a strong one is that it can be easily understood by the majority of the organization. Procurement should aim to keep the language as simple as possible so the value of the KPI can be readily defined, measured and interpreted. Seary suggests that each KPI should be able to pass what is known as the "elevator test," meaning procurement should be able to explain how the metric supports the company's objectives in about 30 seconds or less. By ensuring it is relatable to all levels of the business, you increase the chances of it being appreciated and prioritized too. However, just because you don't want to have KPIs that you must spend a ridiculous amount of time calculating doesn't mean they shouldn't be quantifiable. In fact, all strong KPIs are - otherwise they are meaningless. To use a modern cliché, you need to be able to see that the achievement of your KPI has helped "move the dial" toward where the business is heading. One way to determine whether you have a good KPI is to make sure it can be tied back to corporate objectives. If not, it may be measuring the wrong things, such as inputs or internal processes rather than outcomes. Procurement teams may take into account a wide range of strategies, such as how many meetings are being conducted or what ideas are currently being developed. But these don't count when it comes to a strong KPI because they don't actually capture the true value of the activity. Another indicator of a good KPI is that it is not one of many. Procurement needs to spend time optimizing KPIs to ensure the business is using only ones that are necessary and provide organizational value. There is such a thing as having too many. There should be a maximum of five or six; any more suggests a lack of focus and clearly defined goals and objectives. At the end of the day, every KPI used by procurement should be one that is widely understood by the organization and helps build credibility, rather than distract from it. In most cases, the three important parties that will be involved are procurement, finance and business, although any other possible players that may have a role should be considered. Seary explained that, above all else, it is crucial for procurement to haveKPIs that inspire the team to focus on the results that will translate and deliver true value for the organization.